Demery Ryan | Littler Mendelson P.C. Demery represents a broad range of employers, from start-ups to Fortune 500 companies. She leverages her litigation experience to create customized compliance strategies for clients, with a focus on implementing proactive employment policies to get out ahead of problems before they start. 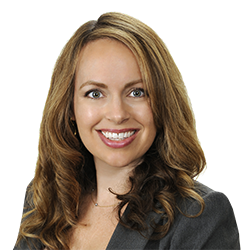 Demery especially enjoys partnering with her clients to advise on all manner of fair employment practices, including hiring practices, workplace accommodations, and performance management, always keeping in mind the individual culture and operational goals of each client. Demery also conducts interactive employee and management training sessions for a wide variety of individuals and organizations on harassment prevention, lawful and effective workplace investigations, and other employment issues. Demery additionally has extensive experience conducting impartial investigations into employee complaints. She also provides one-on-one executive coaching (including “last chance” coaching) and small-group training. What If #MeToo Happens To You?